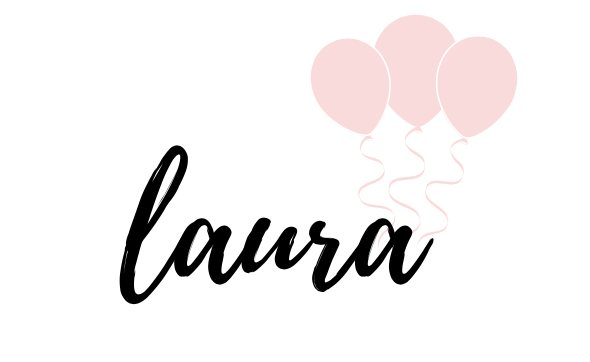 LAURA'S little PARTY. Powered by Blogger. Glasses, cable knit sweaters, and Mason jars is what it's all about. I love when I get the chance to use my big Mason jar drink dispenser. Throw in some trendy plaid and a few Santa staches, and you're ready to sip! I'm really digging the Hipster vibe these days, and I couldn't pass up the chance to put together a hot cocoa bar with Hipster Santa taking center stage! I took my old drink cart, and gave it a fresh coat of black spray paint, from Rustoleum. I attached my Ho, Ho, Ho sweater banner, and then started adding on all the fixings for a tasty hot cocoa bar. Cocoa & mallows are a must! I displayed them in large glass jars, and attached a simple tag to the front. Plaid is so fun to use. When it's mixed with other patterns, it just POPS even more! I added some glazed donuts to my cake stand, and decorated them with a simple topper. Two bamboo sticks, circle tags, and twine did the trick. Add a funky mix of paper straws to a painted Mason jar, like this one, from Just Add Glitter By Marla. I also attached a few coordinating straw flags. Did you know that Santa was the original hipster?! Oh, yes! 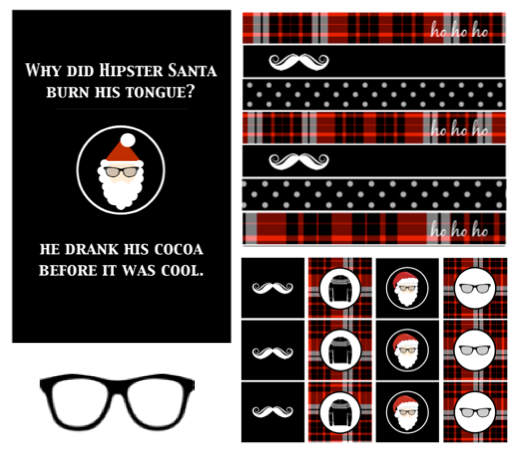 Why did Hipster Santa burn his tongue? ...it all makes sense now! Hot cocoa bars are so fun to put together. And I love that you can put your own spin on them. There really is no right or wrong way to "cocoa". I had so much fun using my Hipster printables, and I want to share them with all of you! You'll get the sweater banner, straw flags, circle toppers, signs, glasses, and more! Here's the link to my Hipster Santa printable set. Print out what you like, and be sure to tag me if you use them! I'd love to see what you come up with! Updated from original post, shared December 2016. Very cute!! I love the donut topper! Thank you so much, Amanda! I truly appreciate you stopping by. This was a really fun theme to work with. Celebrate March Madness with these delicious snack ideas! Simple Ice Cream Social ideas they'll scream for!